Learn Italian Online with CyberItalian! Italian Language Course, Italian Lessons, Italian Tutors and Teachers Online, Italian Free Tests and Exercises - Cyber Italian: discover your Italian voice! Are you a dedicated knowledge seeker - passionate about the Italian culture - who is looking for a vast resource of audios, language activities, grammar notes, exercises and exams for learning and practicing the Italian language? 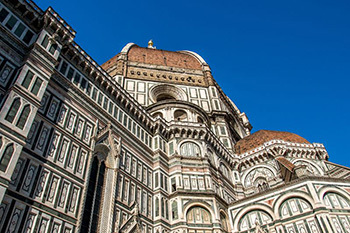 Take a course with us to learn the language and discover Italian art, places, history and culture! Are responsive to your questions. Can correct your pronunciation and Italian language in a clear and engaging way. Our customer service is quick and proud to reply with a human touch. Take a Placement Test and receive our FREE Start-Up Kit! Two FREE weeks for new Self-Study students! Access 60 beginner, intermediate, advanced self-study lessons with Ask-the-Prof service, pronunciation guides, your audio recording and pronunciation assessment (and support our mission): ONLY $4.95 a month or $19.95 every six months!